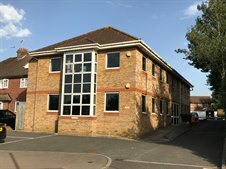 Cattaneo Commercial have just concluded the sale of Rivendell Court, 174 Terrace Road, Walton on Thames, Surrey KT12 2ED. This modern two storey office building was built in the early 1990's and comprised 3,866 sq ft of comfort cooled space, over two floors with 23 on site car parking spaces. The building has been purchased by a private investment company and is now available to let in suites from 690 sq ft up to the entire building, on flexible lease terms. For more information, please contact Andy Armiger at Cattaneo Commercial on 020 8481 4741.